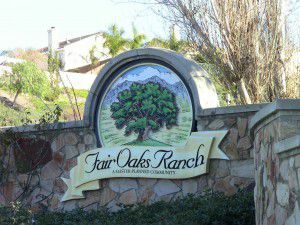 Fair Oaks Ranch is a newer community of planned unit and single family homes in a family friendly area with schools that consistently rank in the top 10% in California. Its location just south of Highway 14 and other major commuter arteries in the Santa Clarita Valley is one of the many attractions for buyers looking to relocate. What also attracts buyers is the variety of housing styles available in Fair Oaks Ranch. From condominiums and townhomes, to luxury estates, this community has something for everyone. Family friendly, commuter friendly, close to great shopping and award winning schools, Fair Oaks Ranch is a great place to call home!